Milk Thistle is a plant native to Europe, North Africa, the Middle East, and Asia and is now found throughout the world. Its name comes from the white splashes of color in its leaves. When crushed, the plant produces a milky white liquid. Because of these features, the story goes that people originally referred to the plant as “Mother Mary’s Milk” or “Saint Mary’s Thistle”. It is considered a nutritional supplement and is not found in dietary sources. The most common way someone takes Milk Thistle is as a capsule, a tea, or a powder. For the general population, this botanical remedy is considered safe for most people, and doesn’t have many contraindications with other therapies or medications. For an individual with Hemochromatosis, Milk Thistle may be one of our very best remedies! Health benefits of Milk Thistle are most commonly associated with liver function. While the majority of both traditional use and medical research of Milk Thistle has focused upon its effects upon the liver, this plant remedy has a wide range of benefits to overall health. And, of course, Milk Thistle may provide numerous health benefits to a person with Hemochromatosis! Silymarin and the other active chemicals are known to exert a liver protective function as an antioxidant and anti-inflammatory agent, by protecting the cells from free radical damage due to toxins (such as excess iron!). Evidence exists that milk thistle may be hepatoprotective through a number of mechanisms: antioxidant activity, toxin blockade at the membrane level, enhanced protein synthesis, antifibriotic activity, and possible anti-inflammatory or immunomodulating effects. It acts by antioxidative, anti-lipid peroxidative, antifibrotic, anti-inflammatory, membrane stabilizing, immunomodulatory and liver regenerating mechanisms. Silymarin has clinical applications in alcoholic liver diseases, liver cirrhosis, Amanita mushroom poisoning, viral hepatitis, toxic and drug induced liver diseases and in diabetic patients. Though silymarin does not have antiviral properties against hepatitis virus, it promotes protein synthesis, helps in regenerating liver tissue, controls inflammation, enhances glucuronidation and protects against glutathione depletion. Silymarin may prove to be a useful drug for hepatoprotection in hepatobiliary diseases and in hepatotoxicity due to drugs. The non traditional use of silymarin may make a breakthrough as a new approach to protect other organs in addition to liver. Additionally, Milk Thistle holds promise in helping to lower elevated blood sugar- which is yet another concern for people with Hemochromatosis. The more I researched, I found several studies showing a ferritin lowering effect along with improved outcome measures in Hemochromatosis and Iron Overload in controlled studies, using Milk Thistle. What’s more, is I found evidence showing Milk Thistle safe in combination with the iron-chelating medicine Desferrioxamine in individuals with iron overload due to a condition called Beta-Thalassemia. In fact, Milk Thistle in combination with Desferrioxamine has actually been demonstrated to show greater effectiveness than the iron chelating medicine by itself. Silymarin, a flavonolignan complex isolated from Silybum marianum, has a strong antioxidant, hepatoprotective, and iron chelating activities. Results of this study revealed that the combined therapy was well tolerated and more effective than desferrioxamine in reducing serum ferritin level. Significant improvement in liver alkaline phosphatase and glutathione levels of red blood cells was also observed in silymarin-treated beta-thalassemia patients. There was a significant decrease in serum ferritin from baseline to end of treatment… 78% of subjects had a decrease in serum ferritin level. Seeing clinical research support the benefits known by traditional herbalists is rewarding to me as a Naturopathic Doctor. It gives me confidence in the safety and efficacy of a remedy. As a result, I’m sure to include Milk Thistle in my health regimen. Milk Thistle may be a great complementary supplement to your current therapy for Hemochromatosis, and doesn’t seem to be something to avoid for fear of side effects. Studies have shown effectiveness at 140 mg a day, and other research has shown effectiveness with 140 mg three times a day while maintaining a strong safety profile. Some research has shown Milk Thistle to be safe to use up to 600 mg daily. There’s not enough research on Hemochromatosis and Milk Thistle to know exactly how to dose this herb, but it gives a range to explore based on the research that is available. Most experts feel a range of 140 mg to 400 mg daily is ideal. Milk thistle is likely safe when taken in recommended doses for 4-6 years. Milk thistle is possibly safe when taken in doses greater than recommended, or when taken for more than 4-6 years. Wow, if something is considered safe 4-6 years or more… you can be sure to trust its safety! 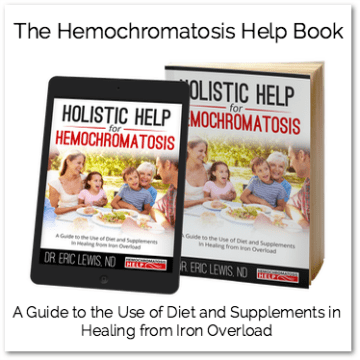 Often times, people with hemochromatosis have told me that there aren’t many options out there to help support their health. Physicians don’t typically make suggestions beyond phlebotomy or iron chelating medicines, however many individuals have told me that they have had challenges with those therapies. At the end of the day, the message I get from people is that they simply want to find answers to restore their health… and that’s exactly why I hope to help you. 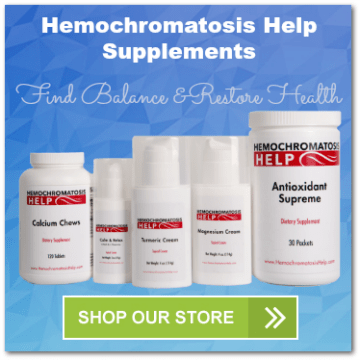 Safety and quality manufacturing are top priorities for Hemochromatosis Help Supplements. 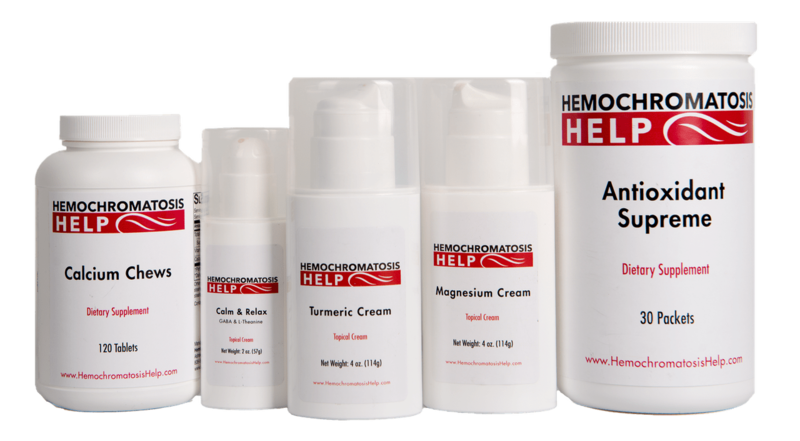 In searching for remedies for hemochromatosis, I choose to only work with professional companies that exemplify the highest quality standards for safety and efficacy… because at the end of the day, that’s what is best for you. Hutchinson C, Bomford A, Geissler CA. The Iron-Chelating Potential of Silybin in Patients with Hereditary Haemochromatosis. Eur J Clin Nutr. 2010 Oct;64(10):1239-41. doi: 10.1038/ejcn.2010.136. Epub 2010 Jul 14. Bares JM, Berger J, Nelson JE, et al. Silybin treatment is associated with reduction in serum ferritin in patients with chronic hepatitis C. J. Clin. Gastroenterol. 2008;42(8):937-944. Gharagozloo M, Moayedi B, Zakerinia M, et al. Combined therapy of silymarin and desferrioxamine in patients with beta-thalassemia major: a randomized double-blind clinical trial. FundamClinPharmacol. 2009;23(3):359-365. Whittington C. Exacerbation of hemochromatosis by ingestion of milk thistle. Can Fam Physician. 2007;53:1671–3. Bell, Warren. What’s in a Name? Can Fam Physician. 2008 Feb; 54(2): 183–185. Kidd R. Exacerbation of Hemochromatosis by Ingestion of Milk Thistle. Can Fam Physician. 2008 Feb;54(2):182; author reply 182-3.